Is This A Zombie? was originally released in 2011. 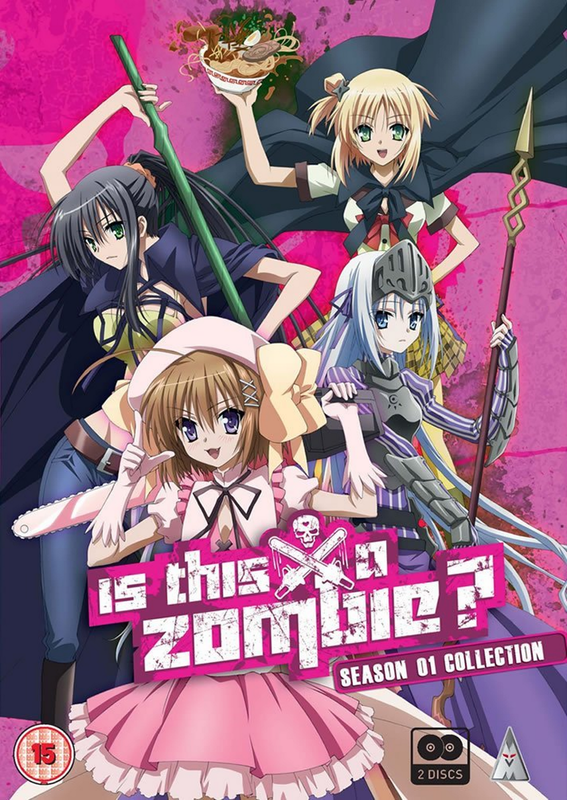 The show revolves around Ayumu is a zombie, resurrected by a necromancer named Eucliwood after being murdered. He soon meets Haruna, a Magical Garment Girl who wields a pink chainsaw, who subsequently loses her power to Ayumu. Reluctantly he if forced to assume her role of Magical Garment Girl, and is now faced with the task of being a cross-dressing magical zombie who kills monsters with a pink chainsaw. Along with the two girls, he is also forced to live with Seraphim, a vampire ninja who is tasked with retrieving Eucliwood and must guard her until she is ready to leave the human world. With his new-found powers, Ayumu must fight many demons called Megalos and discover the mystery behind his death. My Review: Well this anime is definitely not what you expect. When I first started watching this I thought that it was going to be a throwaway harem anime. Well, I’m pleased to say that, that is not the case. This show is like if you take a bunch of random ideas and mash it together into something new and absurd, and in this case, It works. I found this show to be extremely humorous with several very funny events. The show just keeps throwing out new concepts that really have no business being together, what’s more bazaar than a cross-dressing magical zombie killing a giant lobster man with a chainsaw? However, underneath all the glitter and ribbons there is a lot of blood, and more glitter. I did think that the plot follows a cool path and had some really fun moments. I found Is This a Zombie? a really funny show and I would encourage you to give it a shot.